As part of the total storage solutions offered by Nationwide Storage, we are able to provide a comprehensive range of moving boxes and other packaging materials to customers throughout Acton, Park Royal, Wembley and the wider London area. Our packing boxes are available in a range of sizes, from small boxes suitable for books or DVDs to larger units for entire wardrobes or kitchen appliances, and all are easily stackable to make the most of your storage space. We are affiliated with a number of removals companies that are available to carry out extra packaging services, including all planning of your packing, boxing up of larger items and dismantling furniture for storage, before providing all required transportation. 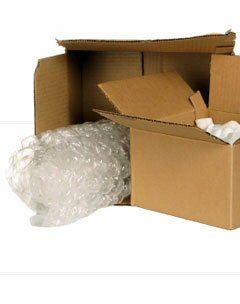 As well as boxes, Nationwide Storage also supply all other necessary packaging materials, from bubble wrap to tape, available at highly competitive prices. For more information or a free quote, get in touch with our friendly team today.